The game starts with two defenders and unlocks others after finishing the level. Each defender can be enhanced twice . You can sell a defender at any time and buy another one. At the end of each level you will have to defeat a powerful boss to unlock next level. 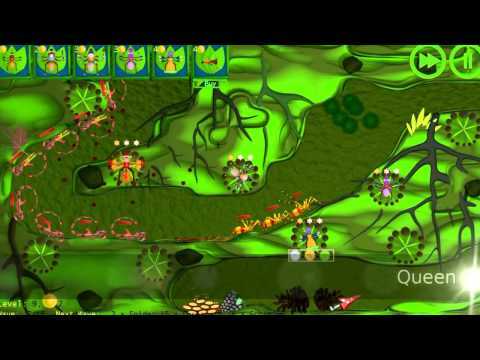 Anthill Defenders is a must have game for Tower Defense fans!